As usual, DJI launches a special promotion campaign around Black Friday and this year is no exception. DJI advertises with up to 30% discounts on products such as the Spark Fly More Combo, Spark Controller Combo, Tello Boost Combo, Goggles RE, Osmo Mobile 2, Mavic Air and the Mavic Air Combo. What is different for this year’s Black Friday, is that DJI has provided DroneDJ with six exclusive 5% off coupons for the Mavic Air Combo, knocking another $45 off the price of our favorite travel drone AFTER the DJI $100 discount! Keep reading for all the details. This is the time of year to buy a new drone as DJI is providing great deals and discounts on many of their products, including the Spark Fly More Combo, Spark Controller Combo, Tello Boost Combo, Goggles RE, Osmo Mobile 2, Mavic Air and the Mavic Air Combo. The campaign will run from Sunday 18 through Tuesday, November 27. See below for all the pricing details. Enjoy another 5% off this price by using the exclusive DroneDJ coupons. Better hurry up as there are only six such coupons available. What is different this year though is that we received six exclusive DroneDJ 5% off coupons from DJI. Yes, there are only six of them, so you better make up your mind quickly. If you have had your eye on our favorite travel drone of the year, the DJI Mavic AIr, than this may be your chance to get one at a very good price.A 5% discount of an $899 price should bring it down to $854, so you receive another $45 discount. Whoever gets to them first can use them. Fyi, the coupons can be combined with the existing discounts and promotional prices that are available in the DJI Store. Only one coupon code can be used per order. There are only six of them so when they’re gone, they’re gone. These coupons are valid from 11/15 – 12/31 but are obviously best used in combination with the Black Friday specials. No, DJI will offer a Drone Quiz that can earn you extra coupons. They will issue a Daily Coupon with surprise deals and they will also have Flash Sales with crazy discounts for a limited time only. Lastly, DJI will also throw in some free gifts. 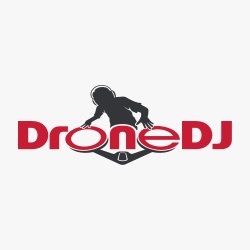 So check in with DroneDJ frequently as we will do our best to keep you up to date with all the latest deals and promotions, also with the help of our friends from 9to5Toys.